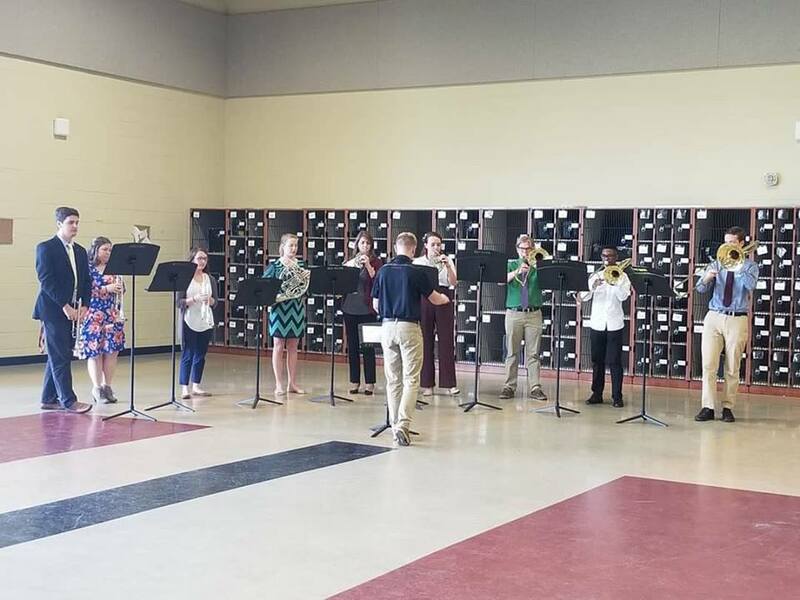 "...music is a universal language and truly the greatest of the arts..."
Brothers participate in various ensembles inside and outside of the University of South Carolina's School of Music. 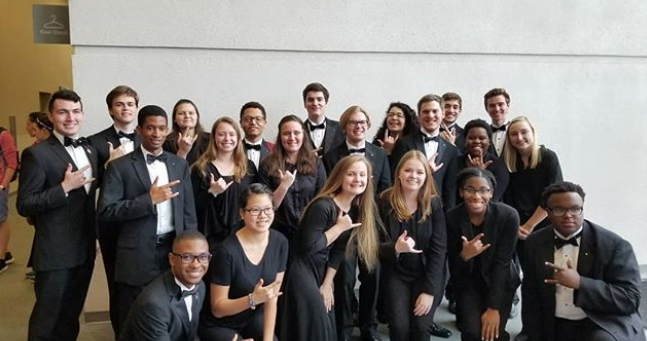 Pictured are brothers that play in the University Band, Front Row, L-R): Austin Myers, Sarah Kwak, Nastashia Hensley, Katie Waters, Alexis Bell, Michael Saxton. (Second Row, L-R): Andrey Ridling, Brandon Smith, Kelley Powell, Bailey Johnson, Matthew Guffey, Nate Ellsworth, Maya Ferguson, Maddi Hoth. (Third Row, L-R): Blake Adlam, Kaitlin Reynolds, Jason Byrd, Michael Lindsay, Michaela Sciacca, Andrew Marino, Eric McGee. "Music is more than songs on the radio, themes for television, and notes on a staff. Music is natural, it is intimate, it is a universal language - one of the oldest means of expression that connects people across the world. For me, music is like a religion; it is a reason to live. " A performance of the Fraternity Hymn (arr. Brother Adam Vernon-Young) by brass players at Zeta Chi/Epsilon Alpha Alumni Event on March 24, 2018. Conducting is Brother Will Moon (Center). Brothers performing are (L-R): Michael Lindsay, Jordan Eason, Ashley Houchin, Lexie Wyland, Sammie Newcomb, Allison Whisnant, Matthew Guffey, Austin Myers, and Michael Baker. ​"Music is the basis of our organization. Music fosters strong brotherly bonds and our dedication to service, but more importantly, it transcends personal differences and beliefs to unify our effort for unwavering support to the university bands. That's why ﻿music ﻿is the greatest of the arts." "Music to me is a friend that is always there for me. Whenever life gets me down, I can always find some music that perfectly captures how I'm feeling, and makes me feel safe. Another beautiful thing about ﻿music ﻿is it's ability to bring people together. It's hard to capture the exact way music does this, but when you experience it, it feels like magic." Brothers Michaela Sciacca, Nate Ellsworth, Austin Myers and Eric McGee posing for picture before a Men's Basketball game during March Madness 2018. 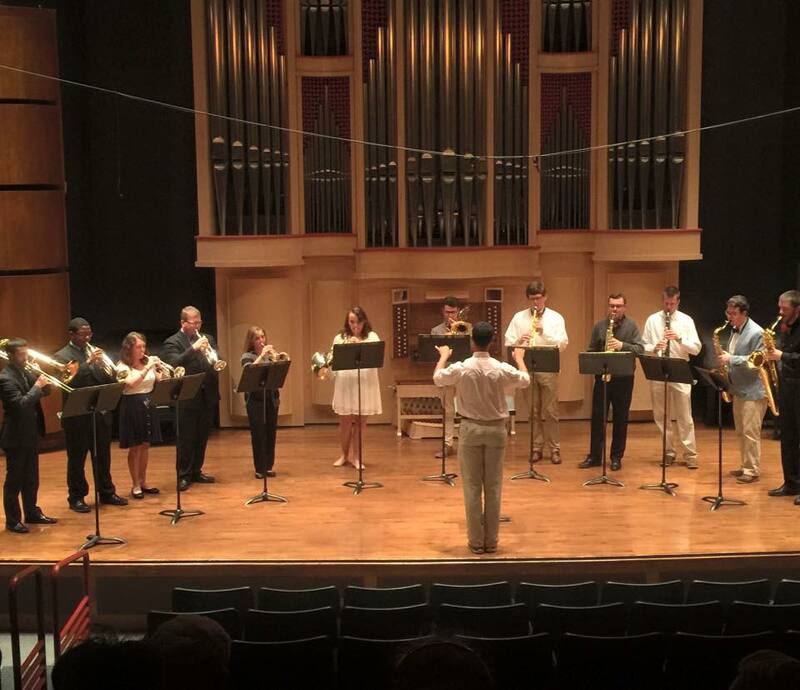 Pictured is the performance of Fall 2015's Musicale, conducted by Brother J.P. Davis. ​"Music has given me so much... friends, family, and support. I never asked for these things or even knew I needed them, but through music I have found these things. Music is not selfish nor is it in need of something in return. Music is there for us when we need it most and even when we think we don't. As brothers, we have the opportunity to try our best to give back to the one art that stands beside us always." Music tells a different story for each brother and there is place for every story within the Zeta Chi chapter. 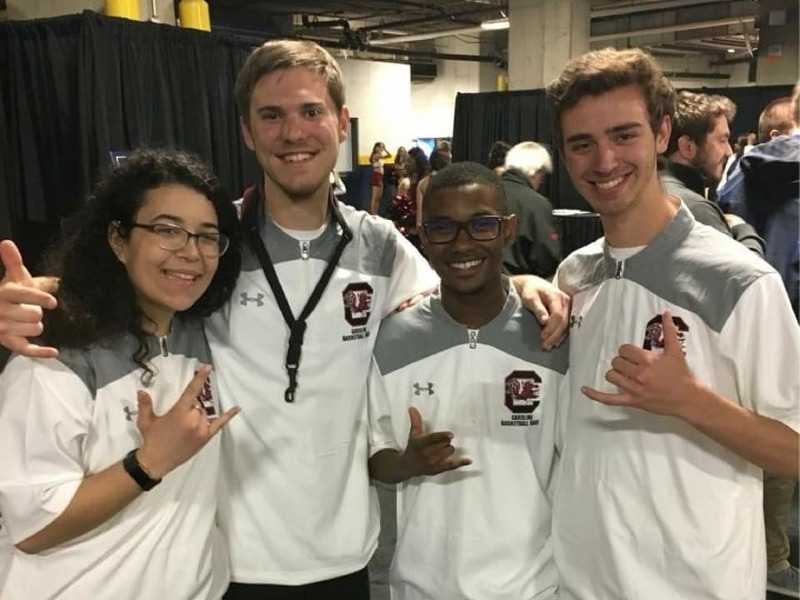 When combined, these stories sing a universal song connecting people of different races, backgrounds, and cultures, not only within the band programs, but within the Columbia community.